Thank You for Attending Today's Facebook Training! Want to Learn 20x More? 50+ Video Ads for Facebook. Watermarks removed for members + 4 New Videos Added Each Month! Made-For-You Facebook Ad Images created for you, just click and save. 56+ Video Tutorials -- all fresh from 2017 & 2018 -- for Better Facebook Results. 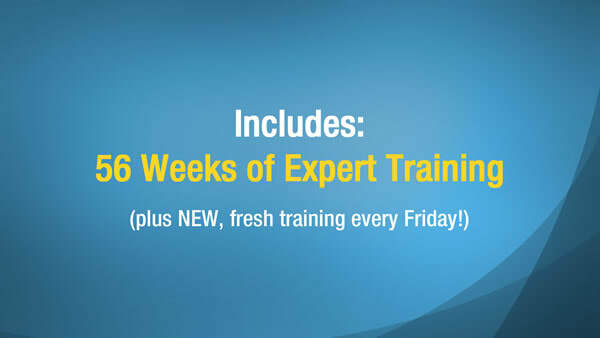 Plus fresh, new advanced training EVERY Friday for members. Real Estate Commercials & "Explainer" Videos Watermarks removed for members. Truly amazing stuff! THANK YOU for ATTENDING OUR TRAINING: Join today for just $29/month -- and learn 100x more!